We are so pleased to be able to bring you a rider interview with Matty Turner. Matty Turner is only 12 Years old so he is very young but has been making quite a name for himself online recently with people nicknaming him the ‘Mini MacAskill’. I am sure I am not the only one wishing I had skills like his when I was 12 years old. Hi Matty, please introduce yourself to the readers of street ride. Hi I’m Matty Turner and I am 12 years old. I ride street trials all the time! My Mum says I first rode a bike without stabilisers when I was 3 years old. 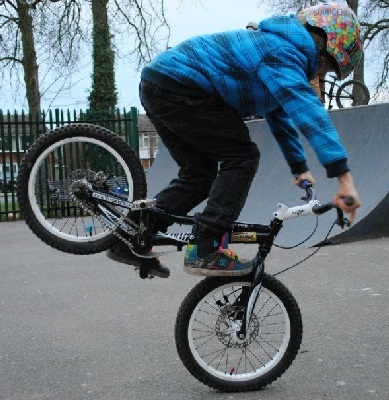 I then rode BMX for a long time and started riding trials when I was 10 years old. Who was the inspiration for you to try trials riding? Reading and Radical Bikes in Essex. Do you have friends your age that ride, or do you ride with a particular group of riders? I have two friends that I sometimes ride, with but mostly I ride on my own or with a local group called Riff Raff. 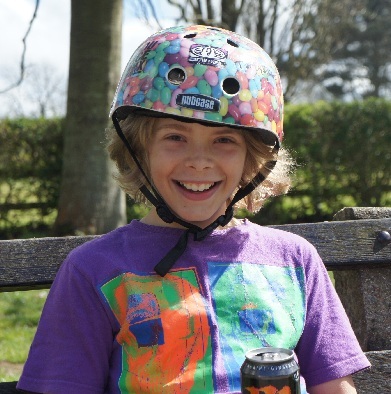 Some refer to you as the “Mini MacAskill” which is a great compliment; do you base your style of riding on him? I think it is a massive compliment to be compared to Danny! I watch how he rides, then mix it up with stuff I try on my own. Congratulations on picking up your first sponsor, Trials Addict! Do you currently receive any other support from anyone else? Thanks, and I’m really happy that I have joined the Trials Addict Team with Joe and Jack for 2012! I don’t have any other sponsors yet but Jack Meek has helped me a lot to push my riding. I ride 2 bikes, my Onza Mini Master that I’ve done my videos on but I’ve grown out of that now and my new 20” mod that Trials Addict and Jack Meek have helped me customise. You are currently riding 20″, do you think you will always predominately ride 20″ or do you hope to move up to 24″ or 26″? I’ve just started to ride 20” now but I want to ride 24” when I’m big enough. If you could jump into a van tomorrow, and go anywhere to ride in the world and bring 3 riders, who would you bring and where would you go? I would go to America! I would definitely take Danny, Jack Meek and my older brother Jack who rides a jump bike and is just building his first trials bike. Do you have any new edits or filming projects you are working on that we will be able to check out soon? Yes! I have just come back from Devon and we have got some great clips on my 20” that we will be making a new edit with shortly. When you’re not riding, what else are you up to? I ride all the time! 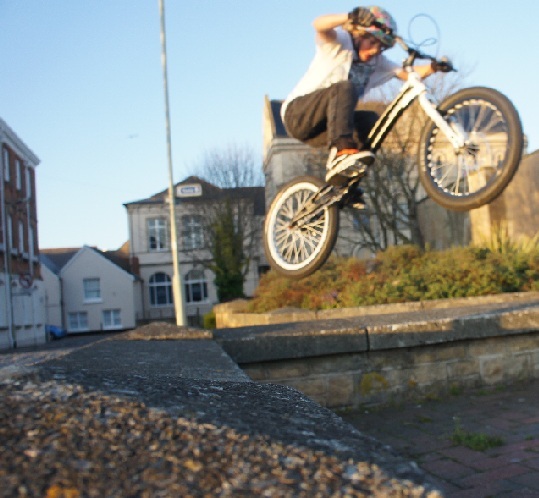 Sometimes BMX but nearly always street trials. I play football for a local team and my manager Stuart has nicknamed me YouTube! I also always go to school. Ride trials for my career and have fun. What’s the last song you heard, video you watched and website you visited? Ben Howard’s CD, Danny’s Inspired Bicycles April 2009 video and Facebook! Is there any body you would like to thank or give a shout out to? My Brother Jack for filming and helping me, Mum and Dad for everything, a big thanks to Jack Meek for spending time and helping me so much and a big shout out to the Riff Raff! A massive thank you to Matty Turner for the interview and to Dave Tuner for organising it. We wish Matty the very best for the future and we are sure that he will go on to do great things for the sport. Congrats to Matty T, for picking up his debut sponsorship with TrialsAddict bikes and special thanks to Jack Meek, for his influence in making this happen.